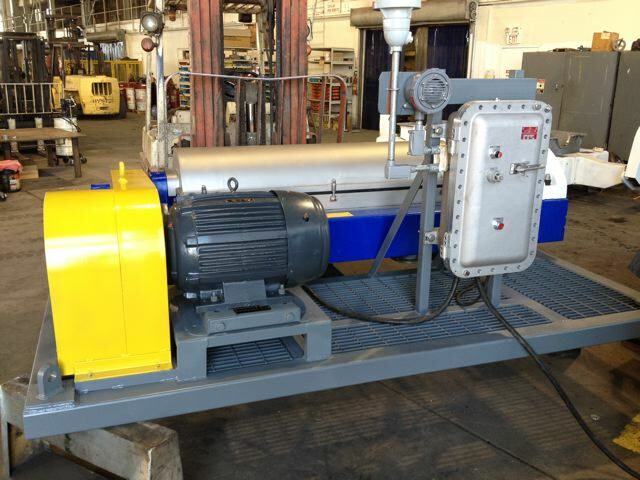 Reconditioned Alfa Laval NX-418 (14″ x 57″) decanter centrifuge. 3.5 kN-M gearbox. Esjberg-style feed zone. 110 mm (4.25″) pitch. Double-row cake discharge. Tungsten carbide tiled wear protection on solids-half of the conveyor. Stainless Steel construction. Motors, controls and oilfield skid can be supplied on request.